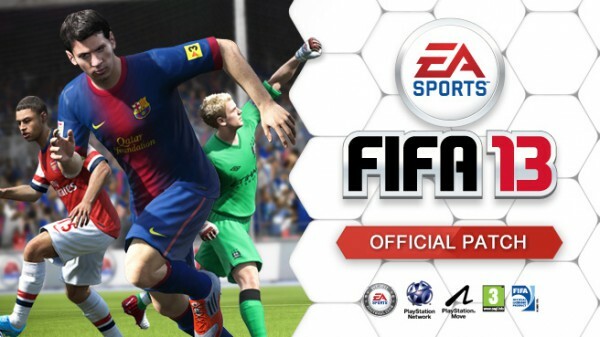 You are here: Home » Games » FIFA 13 » FIFA 13 | Console Update Out Now! Online Connectivity in the Arena when loading an Online Seasons match. The rare occurrence of the ball becoming invisible during gameplay. Audio commentary of player names when the game is set to Brazilian, Czech, Hungarian, Italian, or Polish. Connectivity after selecting a position on Online Team Play and Clubs. Pass responsiveness in the Passing ‘Skill Challenge’ Skill Game. The leaderboard for this specific Skill Game has been reset due to a scoring glitch. Rare cases of physics elasticity when two players collide. In Ligo Do Brasil, Vasco Da Gama and Palmeiras get authentic kits and team names. Authentic kits for Botafago in Ligo Do Brasil. Visibility of the radar, indicators, and scoreboards in offline matches after playing in Online Team Play. Stability of FIFA Ultimate Team during single player tournaments. A softlock when playing a friend in FUT. A softlock when repeatedly purchasing FIFA Points. Crashing in the Pro Clubs kit selection screen. Issues with form display in the EA SPORTS Football Club Match Day update. Functionality when bidding on items from the Watch List. Undefined text on created players list after downloading squad updates. The accurate crest is not shown on the Adidas All Star kit during a Club match. Created player files misrepresented after downloading squad updates. Uploaded replays overwriting other user media when sent to web profile. FIFA Ultimate Team items showing overall stats of player instead of stats for current owner.. Stability when editing a Virtual Pro if the squad is full. Stability when the loaning team rejects the loan purchase of a transferred player at the end of a season. Player contracts increased by 1 did not take effect in player’s profile. Penalty Kick Takers selected prior to a penalty shootout when playing as a Manager. Continuation of player stories after the player is transferred/sold. Stability of storyline system before a big match. Stability after purchasing players in Career Mode. Stability when a team selling a player rejects the transfer offer. 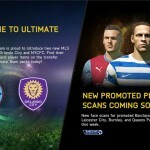 EA SPORTS’ commitment to improve the FIFA 13 experience continues, and regular feedback from you the fans helps them prioritize and identify future improvements. They appreciate your patience during this time and they would like to thank you for your continuous feedback on Twitter, Facebook, and the EA Forums. They promise to continue to provide you with information through those channels as and when it becomes available.